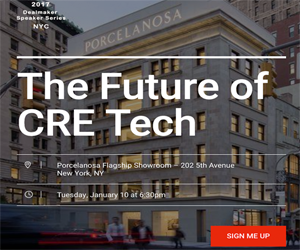 Lead innovation sponsor for CRE // Tech, WeWork is returning to CRE // Tech for another year. WeWork is the pre-eminent shared workspace solution for entrepreneurs, freelancers, startups and small businesses. Our team at CRE // Tech recently caught up with WeWork to learn more about their site, strategy and vision. Externally, wework.com/brokers is a dynamic lead submission, deal tracking, and fee payment management solution for brokers introducing clients to WeWork. Affectionately known as the "Broker Portal," wework.com/brokers allows users to seamlessly and quickly introduce new clients to our sales teams. Within the portal, registered brokers can also keep tabs on their client's progress and manage payment expectations with regard to successful deals. Internally, our portal maintains the integrity of our broker channel sales data, allowing the Broker + Real Estate Partnerships team to process fees and report to our partners faster than anyone else in the industry. We partner with commercial real estate brokers and other real estate professionals around the world who may have relationships with potential WeWork members. Compensation - users who successfully introduce a new client-member to WeWork will earn 10% of that client's gross membership fee for up to 12 months, with the potential to earn fees for up to 36 months as well as on renewal and expansion agreements. Transparency - users will always have a clear understanding of where their clients are in the sales process at WeWork. Statuses are automatically updated under the "Track" tab, and automatic email notifications are sent to the user whenever a new action step has occurred. Business is booming. Since it's founding in 2010, WeWork has become the world's leading collaborative workspace solution and community for member companies of all size and industry. Our global footprint now exceeds 140+ buildings, is home to 100,000+ members and continues to grow as WeWork develops new product lines and launches into new markets. Much of this success in recent years has been achieved in partnership with commercial real estate brokers who have adapted to our platform, translated the value to their clients and capitalized on the many benefits of our Broker Partnership Program. Our online user base is growing steadily, and we've seen an uptick in client introductions in every region month over month since launching in July 2016. WeWork will continue to perfect it's model, providing the best possible workspace, benefits, and services to our members. WeWork broker partnership will look to find new ways in which we can partner with commercial real estate professionals, communicate the value of the WeWork platform to potential client-members and make our overall operation as efficient as possible, all the while maintaining the best-in-class customer service brokers have come to expect from us. Come meet WeWork at CRE // Tech Intersect San Francisco on June 8th and follow them on twitter @wework or Facebook! To learn more about our upcoming San Francisco Intersect on June 8th, to become an exhibitor or to purchase tickets, visit www.cretech.com. Older PostWhat does “Psychogeography” have to do with lead engagement for real estate?